Please be patient with me as I try to figure out some technical glitches that are preventing me from adding images to my blog posts. 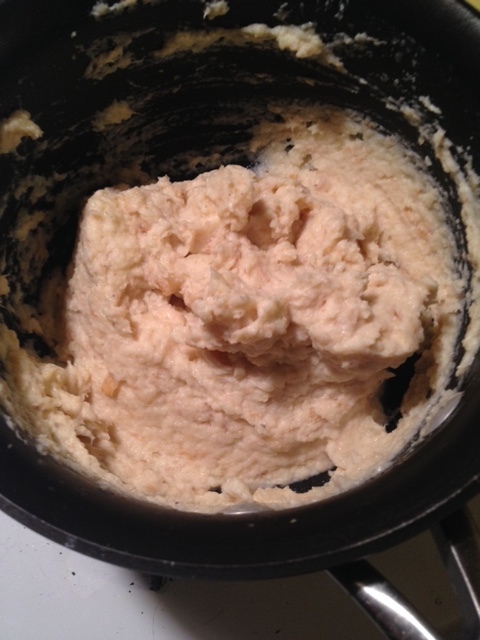 I have recipes that I am trying to share with you, but I wanna make sure I get em right before I pass them along. Follow this link to read my first published article about building emotional intimacy in a relationship! I am so thankful to Relationship Advice Cafe for including me! Please share with anyone you know who you think may benefit. So exciting! 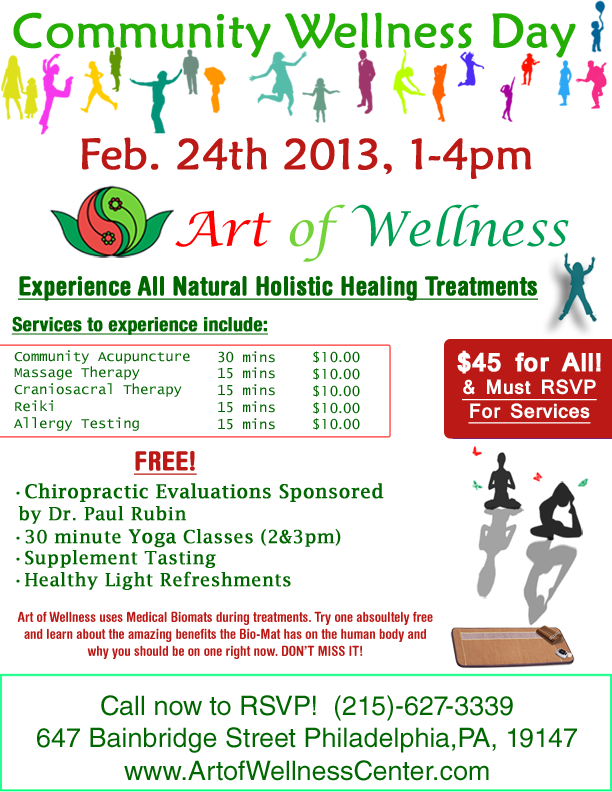 Please join us in celebrating Wellness Day at Art Of Wellness! Come try out some of our wellness services and learn more about how we can help you achieve mind, body and soul satisfaction and fulfillment! We are excited to offer these services to you at a very low cost and cannot wait to share other techniques for healing and health that we provide! Spots are limited so call to reserve your space NOW! For more information about our team approach to holistic wellness and how we can help you create balance in your life go to www.artofwellnesscenter.com. We can’t wait to see you on the 24th! So I have spent the past month or so (5 weeks to be exact) trying new foods and eating habits to see how they effect me in body, mind and spirit. I have learned a few things about myself, including that I do not need a lot of fat in my diet (even the good kinds), so I have begun eating less nuts and avocados. Also I am tuning into my body, what it needs, and what it tells me, and have realized that what i have been eating is likely what my body needs, without all of the sugar, so my body already knows what it needs and has been guiding me the WHOLE time. It really is amazing how our bodies are created to do the work of maintaining and nurturing without our even needing to THINK about it. We were created to be fully self sustaining, but have just gotten so far from knowing, trusting and believing in our inherent human instincts, but they are still there. I am so appreciative of how this process is bringing me closer to myself, my nature and the world i live in! I also notice with whole food eating, adequate water and sleep that i have more ENERGY, a better ATTITUDE and improved MOOD along with better digestion and no stomach pains! How wonderful that such basic steps can make life that much better! Needless to say I will likely continue to eat healthy JUST BECAUSE I feel better! How awesome is that? I will continue to share healthy recipes and adventures in healthy cooking with you, but have also decided to move on to other areas of my life that may need more attention. Like what, you may ask?? As part of my Integrative Nutrition education we are learning to look at nutrition as the things in life that feed us emotionally. Food is a piece of this, but so are many other aspects of life such as work, relationships, exercise, finances, positive activity, spirituality etc. Since I am working to try new things, this too extends to these “primary foods” in my life. When asked about what I desire to change in my life, the first thing that arises is WORK. However I am taking EVERY STEP POSSIBLE to address this area of my life and so I don’t plan to focus on this at present. The second aspect of life I WANT to change, but have been struggling to change is EXERCISE. I know what I like to do and have been successful in taking action to exercise in the past, but at present this feels like the one part of my life I cannot get control of and so THIS is what I am going to work on this month! Follow this link to sign up for my workshop this Thursday and learn about the connection between what we eat and how we feel! Day 21 and a half: Beets! I am cooking more than usual today as it is a holiday and I finally have the time! I took the plunge and bought beets today after my husband shared his interest in juicing them. Since I already had leftover uncooked Brussels, I figured I could combine the two and at least know that HALF of the veggies would be yummy no matter my lack of culinary skills. I have been trying to try new things and eat new things in the process of learning about nutrition and so I am proud of myself for doing as I intended, and excited because these were GOOD. I will definitely make them again really soon (with some creativity too! )… Every time I take a new step I am reminded how worthwhile it is to do what is unfamiliar and do it well, because it only makes us more confident and self assured for the next new step. 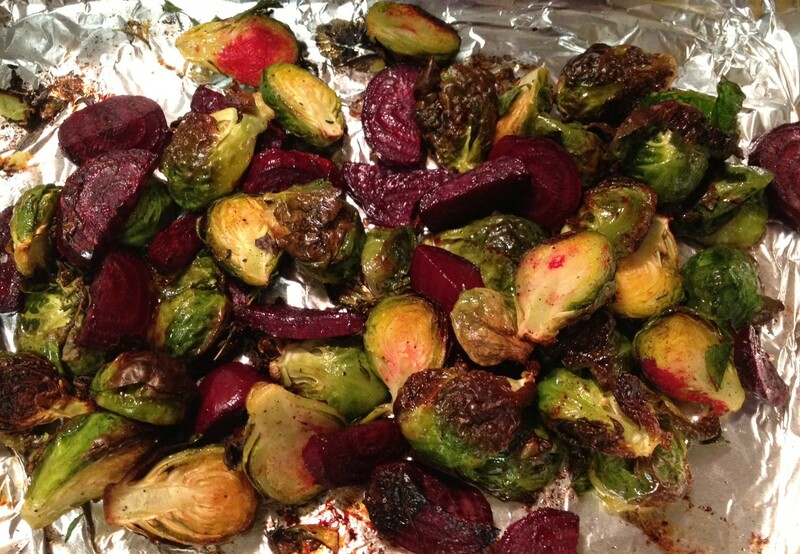 Ten recipes posted today as a part of my efforts to start 2013 off right! So check them out, and learn about my adventures in healthy eating, creative cooking and blog writing! Feel free to contact me for additional information or with questions through my website www.lisaresnickholistictherapy.com or via email at lisaresnicktherapy@gmail.com. I am SO enjoying this process of finding new simple ways to eat healthy and find physical satisfaction through creation of delicious and nutritious meals.